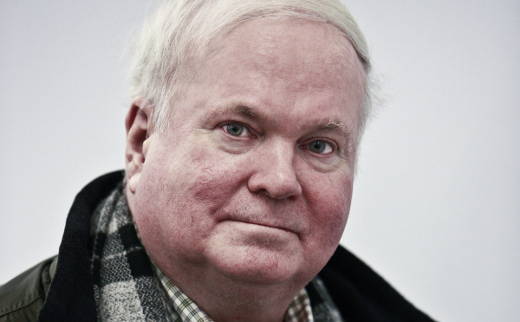 When, in 2007, author Pat Conroy was told by a concerned student that two of his books, The Prince of Tides and Beach Music, had been banned by the Kanawha County school board following complaints from parents, he sent the following letter to the area's local newspaper, The Charleston Gazette, and made known his disgust at such censorship. It was immediately published. After much deliberation and publicity, the bans were eventually lifted. To read other letters of note related to the banning of books, click here. To discover more about Banned Books Week, which ends tomorrow, click here. I received an urgent e-mail from a high school student named Makenzie Hatfield of Charleston, West Virginia. She informed me of a group of parents who were attempting to suppress the teaching of two of my novels, The Prince of Tides and Beach Music. I heard rumors of this controversy as I was completing my latest filthy, vomit-inducing work. These controversies are so commonplace in my life that I no longer get involved. But my knowledge of mountain lore is strong enough to know the dangers of refusing to help a Hatfield of West Virginia. I also do not mess with McCoys. I've enjoyed a lifetime love affair with English teachers, just like the ones who are being abused in Charleston, West Virginia, today. My English teachers pushed me to be smart and inquisitive, and they taught me the great books of the world with passion and cunning and love. Like your English teachers, they didn't have any money either, but they lived in the bright fires of their imaginations, and they taught because they were born to teach the prettiest language in the world. I have yet to meet an English teacher who assigned a book to damage a kid. They take an unutterable joy in opening up the known world to their students, but they are dishonored and unpraised because of the scandalous paychecks they receive. In my travels around this country, I have discovered that America hates its teachers, and I could not tell you why. Charleston, West Virginia, is showing clear signs of really hurting theirs, and I would be cautious about the word getting out. In 1961, I entered the classroom of the great Eugene Norris, who set about in a thousand ways to change my life. It was the year I read The Catcher in the Rye, under Gene's careful tutelage, and I adore that book to this very day. Later, a parent complained to the school board, and Gene Norris was called before the board to defend his teaching of this book. He asked me to write an essay describing the book's galvanic effect on me, which I did. But Gene's defense of The Catcher in the Rye was so brilliant and convincing in its sheer power that it carried the day. I stayed close to Gene Norris till the day he died. I delivered a eulogy at his memorial service and was one of the executors of his will. Few in the world have ever loved English teachers as I have, and I loathe it when they are bullied by know-nothing parents or cowardly school boards. About the novels your county just censored: The Prince of Tides and Beach Music are two of my darlings which I would place before the altar of God and say, "Lord, this is how I found the world you made." They contain scenes of violence, but I was the son of a Marine Corps fighter pilot who killed hundreds of men in Korea, beat my mother and his seven kids whenever he felt like it, and fought in three wars. My youngest brother, Tom, committed suicide by jumping off a fourteen-story building; my French teacher ended her life with a pistol; my aunt was brutally raped in Atlanta; eight of my classmates at The Citadel were killed in Vietnam; and my best friend was killed in a car wreck in Mississippi last summer. Violence has always been a part of my world. I write about it in my books and make no apology to anyone. In Beach Music, I wrote about the Holocaust and lack the literary powers to make that historical event anything other than grotesque. People cuss in my books. People cuss in my real life. I cuss, especially at Citadel basketball games. I'm perfectly sure that Steve Shamblin and other teachers prepared their students well for any encounters with violence or profanity in my books just as Gene Norris prepared me for the profane language in The Catcher in the Rye forty-eight years ago. The world of literature has everything in it, and it refuses to leave anything out. I have read like a man on fire my whole life because the genius of English teachers touched me with the dazzling beauty of language. Because of them I rode with Don Quixote and danced with Anna Karenina at a ball in St. Petersburg and lassoed a steer in Lonesome Dove and had nightmares about slavery in Beloved and walked the streets of Dublin in Ulysses and made up a hundred stories in The Arabian Nights and saw my mother killed by a baseball in A Prayer for Owen Meany. I've been in ten thousand cities and have introduced myself to a hundred thousand strangers in my exuberant reading career, all because I listened to my fabulous English teachers and soaked up every single thing those magnificent men and women had to give. I cherish and praise them and thank them for finding me when I was a boy and presenting me with the precious gift of the English language. The school board of Charleston, West Virginia, has sullied that gift and shamed themselves and their community. You've now entered the ranks of censors, book-banners, and teacher-haters, and the word will spread. Good teachers will avoid you as though you had cholera. But here is my favorite thing: Because you banned my books, every kid in that county will read them, every single one of them. Because book-banners are invariably idiots, they don't know how the world works—but writers and English teachers do. I salute the English teachers of Charleston, West Virginia, and send my affection to their students. West Virginians, you've just done what history warned you against—you've riled a Hatfield.